What happens when we perform a PING in size of 4086 bytes? 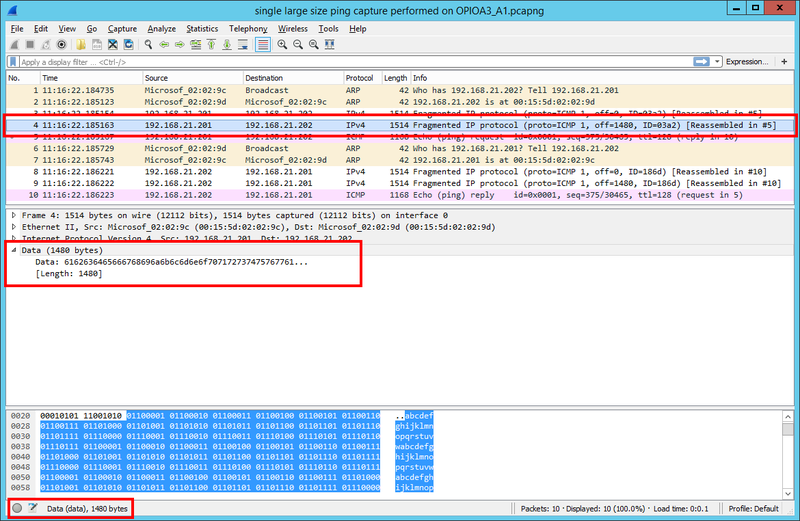 In case the amount of ping data is “large” (in this case 4086 bytes) a PING at the network level is basically “split” in three frames. This split is influenced by the value of Maximum Transmission Unit (MTU) the network adapter has been set with. MTU is the size (in bytes) of the largest protocol data unit that the layer can pass onwards. To be more precise, MTU “is the maximum size of an IP packet that can be transmitted without fragmentation – including IP headers but excluding headers from lower levels in the protocol stack”. If the amount of data an application is sending over the network is larger than the MTU size, then at the network layer the data is split and transmitted over multiple packets. In this example the communication is performed between two virtual machines connected over Ethernet and the MTU is – 1500 bytes (the default value). 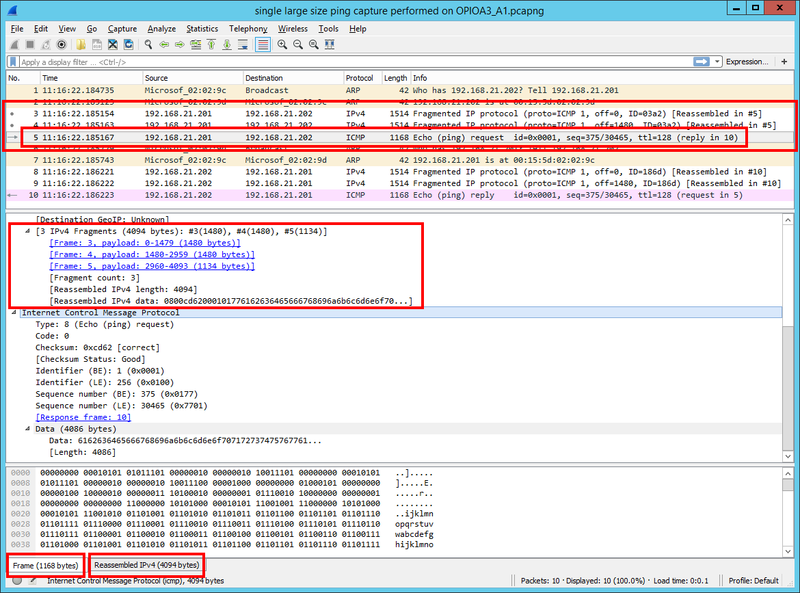 In the following screens we can see how Wireshark is representing the network traffic performed by a 4086 bytes PING echo request.